DBKP Community Hospital, Demra Bazar, Chanpara Authority not issue admit card. 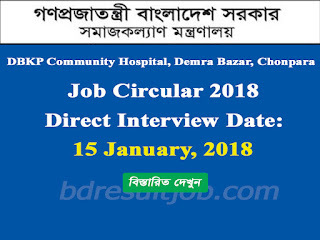 Every interested person will attend will Interview at 15/01/2017, Chairman, Trustibaord, DBKP Community Hospital, Dhaka Office: 89, Kakrail (10th Floor), Room No.# 02, Dhaka. DBKP Community Hospital, Demra Bazar, Chanpara Authority not seat plan. Every interested person will attend will Interview at 15/01/2017, Chairman, Trustibaord, DBKP Community Hospital, Dhaka Office: 89, Kakrail (10th Floor), Room No.# 02, Dhaka. DBKP Community Hospital, Demra Bazar, Chanpara Authority will published National Newspaper. Also you can visit update news at SDBKP Community Hospital, Dhaka Office: 89, Kakrail (10th Floor), Room No.# 02, Dhaka notice Board. 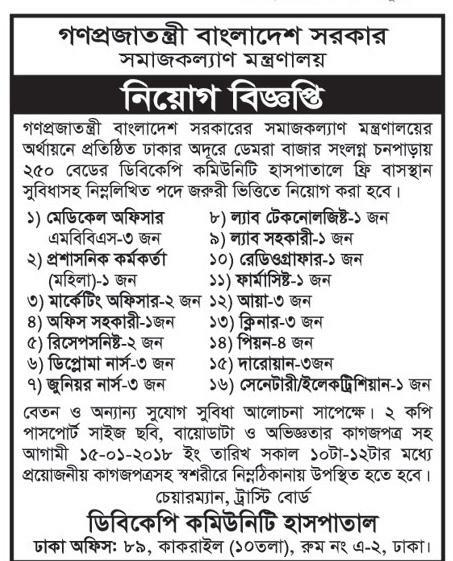 Tags: DBKP Community Hospital, Demra Bazar, Chonpara Medical Officer, MBBS, Administration Officer (female), Marketing Officer, Office Assistant, Receptionist, Diploma Nurse, Junior Nurse, Lab Technologist, Lab Assistant, Radiographer, Pharmasist, Aya, Cleaner, Peon, Security Gaurd, Senitary/Eelectrician Job Circular 2018, DBKP Community Hospital Job result 2018. 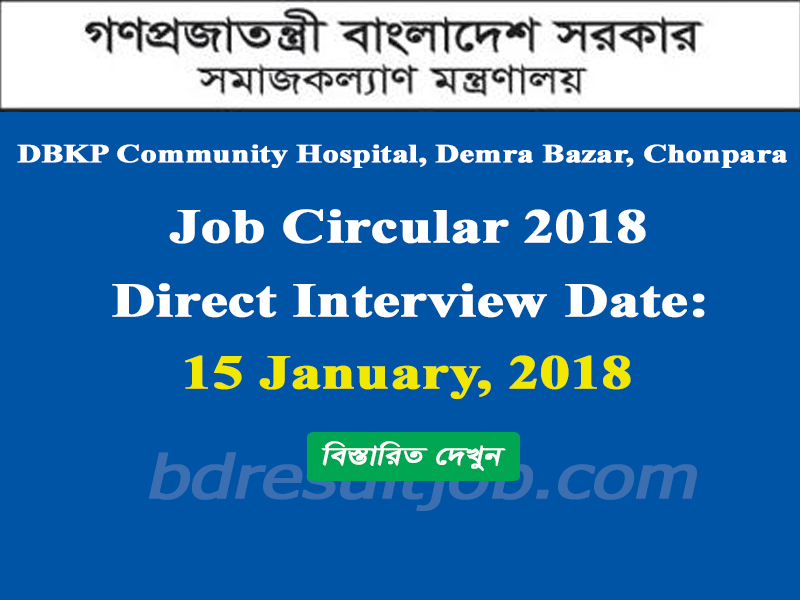 DBKP Community Hospital, Demra Bazar, Chonpara Medical Officer, MBBS, Administration Officer (female), Marketing Officer, Office Assistant, Receptionist, Diploma Nurse, Junior Nurse, Lab Technologist, Lab Assistant, Radiographer, Pharmasist, Aya, Cleaner, Peon, Security Gaurd, Senitary/Eelectrician Job Circular 2018, DBKP Community Hospital Job result 2018.